Take command with Thermaltake's first-ever touch screen fan controller, the Commander FT! Monitor temperatures and fan speeds for up to (5) individual 3-pin or 4-pin fans simultaneously. 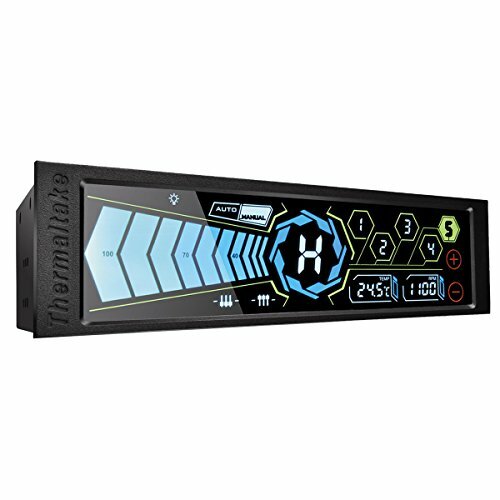 The expansive 5.5" touch screen-one of the largest available-makes interacting with it simple for auto, manual, performance, and silent operating modes to give you comprehensive control of fan cooling performance. Gain control over your systems cooling needs and give your chassis a professional look with the Commander FT by Thermaltake.